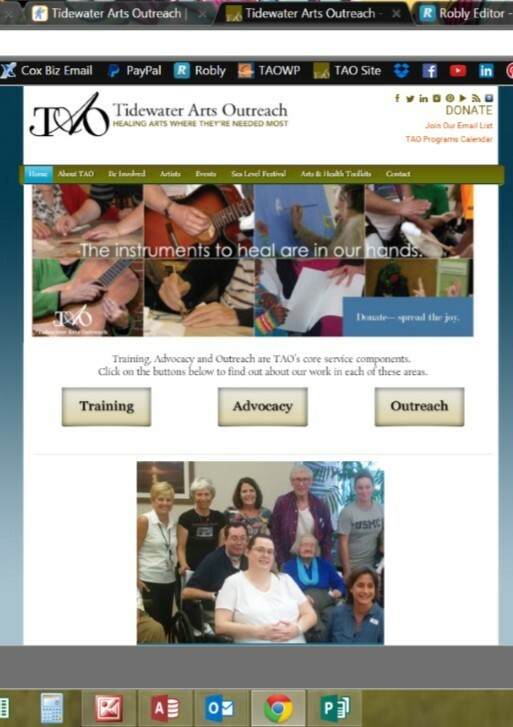 TAO has a new home page and video about our programs, featuring many artists, staff and volunteers. Check out the new video, on TAO's YouTube channel, here. We're hope you're enjoying this slower season to recharge, regroup and reconnect with family and friends. Have a great summer! SAVE THE DATE. 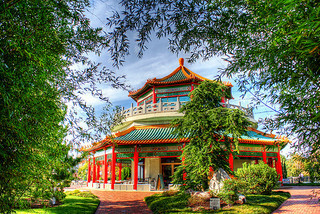 Saturday, September 12, 5 - 10 pm, will be our night to share our love of the arts, and our genuine appreciation for TAO artists and supporters at The Pagoda Garden, Tea House and Gallery. There is space in the garden to paint, room on the waterfront patio to dance, and a stage that we'll fill with live music. We hope you'll join us! RSVP on FaceBook. Click for photos from past events. 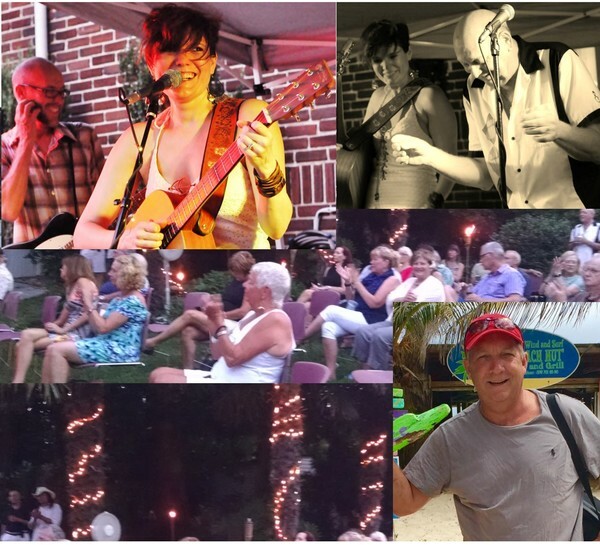 Fair weather, friends and fantastic music combined to create a great house concert event for TAO in June. Gina Dalmas and the Cow-Tipping Playboys were tight and right! (top right) Bruce Gray sat in on a number of memorable numbers with the band. (bottom right) Our host with the absolute most, Rick Mapp. Thank you, Rick, Gina, Bruce, bandmates, Carla, Brian, Rick Jr., Susan and Larry of OFOVA, and all our guests! L) and Madeline Dunstan. 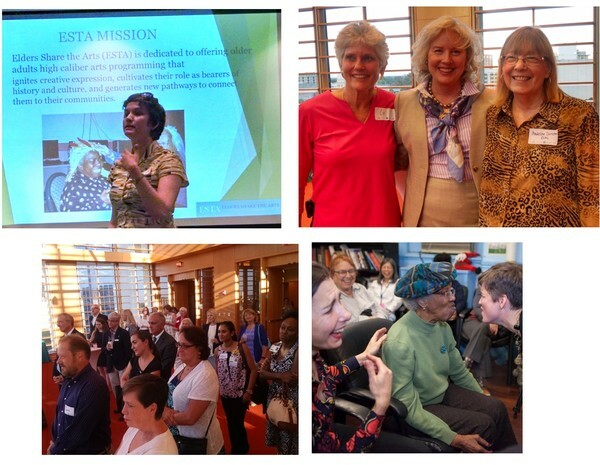 Jenny Smith-Peers in action with her clients, in an ESTA NYC photo; and reception shot at the Slover Library's Sentara Health Care's Community Room. Special thanks to Judith Stevens, Jack Callan, Bruce Robertson (Sentara), Gay Hanna (NCCA) and Dr. Paul Aravich (EVMS), for their inspiring remarks. 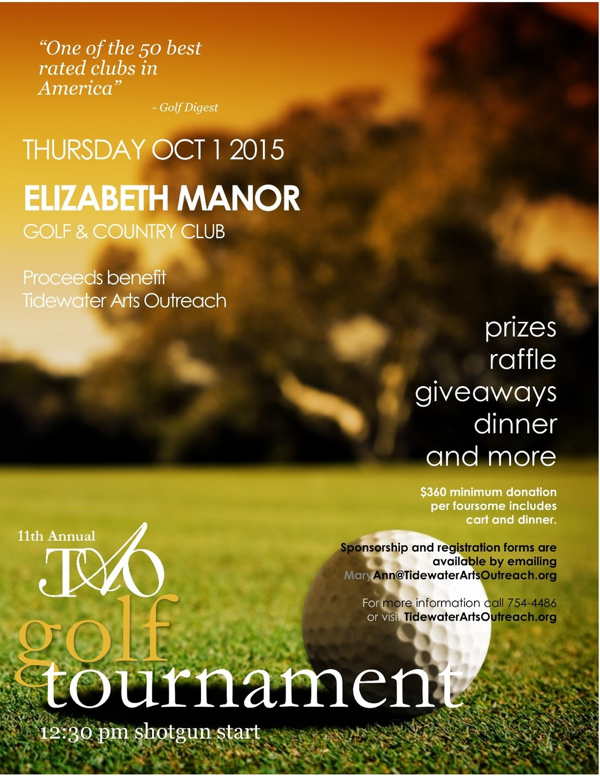 Consider marketing your business or services to 100+ golfers at our 11th annual golf tournament. 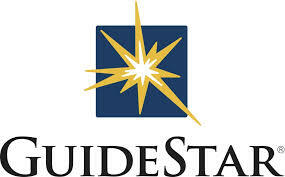 Sponsorships start at $100; we're accepting sponsorships and raffle items through September. Visit our website or email MaryAnn@TidewaterArtsOutreach.org for more information- thank you!